Change is a part and parcel of life; everyone knows it and gets it. Let’s face it, however – if your business’ web platform ceases to exist, it’s a major blow to the jaw. That’s exactly how thousands of developers, coders, and businessmen are feeling after the announcement of the closure of Adobe Business Catalyst and Muse services. For thousands of people out there, this essentially means starting over and preparing for another learning curve, which will directly impact their jobs and businesses. The key to making it out of this chaos for all of them, however, is to not panic, go about their business with zeal and passion, and be very quick and very smart with picking alternatives to Adobe Muse and Business Catalyst. The PCMag’s 2017 Editors’ Choice in website building platforms, Duda was always a power packed alternative to Adobe’s web development suite. Particularly for web development agencies and professionals, Duda offers the perfect white label web development solution. Duda’s range of beautiful mobile responsive templates, for starters, are head turners. No wonder, the platform’s network spreads across 4,500+ web design and development professionals across the globe. For anybody looking to get over the shock of the loss of Business Catalyst and Muse, Duda emerges as a turnkey solution, as the account managers will help you complete the transition quickly and inexpensively. Transform Duda into a proprietary CMS system, and send periodic customized analytic reports to clients. Set up roles and authorizations to enable collaboration across teams and allow clients to access backend features. Manage bulk content uploads & use the APIs to build and promote your branded website builder, and build customized widgets for clients. Use the import algorithm to effortlessly pull client content from legacy systems to a central space within the Duda account, enabling seamless migration. See how intuitively the editor interface has been designed, for instance. Duda wins over Adobe Muse and Business Catalyst because it offers highly nuanced and scalable functionalities, such as AWS based hosting (industry-best), extended controls over client website SEO, streamlined analytics, and a widget builder to create unique web assets and to enable easy 3rd party integrations. Both developers and designers like WebFlow. 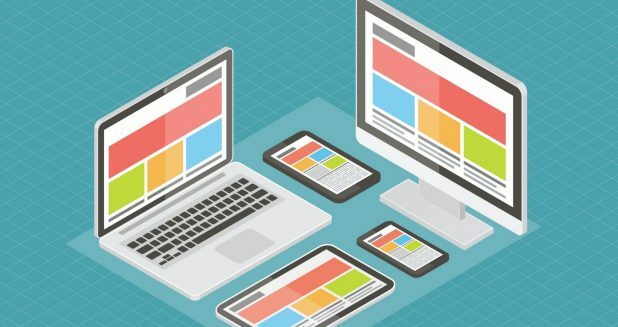 The platform enables novices to create responsive websites without having to worry about coding. For expert coders, WebFlow emerges as power-up because of its ability to speed-track code creation, with major automation in backend code generation. The net result – a platform that supports your desire to get the design exactly as you want it, much like you’d have with Adobe’s Business Catalyst and Muse. Your WebFlow website is hosted on the company’s servers, offering you secured hosting, with the power to scale up as traffic surges. Or, you could bring your developers on board, and host your complex web apps on your own servers. The interface, though peppered with lots of buttons and menu options, is adequately balanced and hence delivers a good user experience. 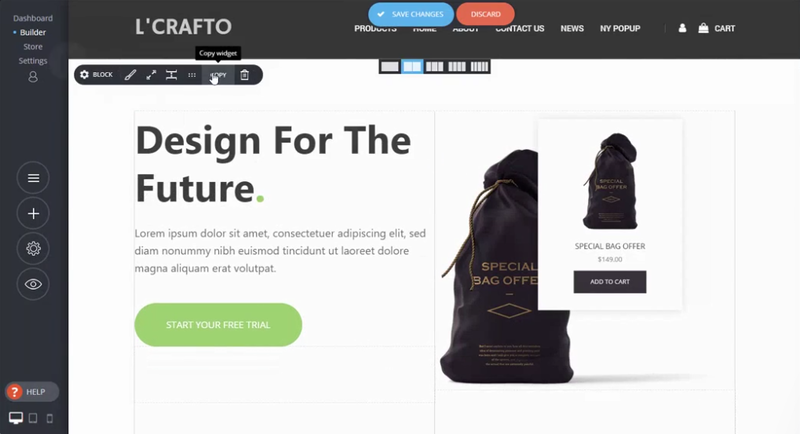 Other noteworthy WebFlow capabilities include white label development, plans for agencies and startups, a free version, and everything you’d expect from a web development platform. 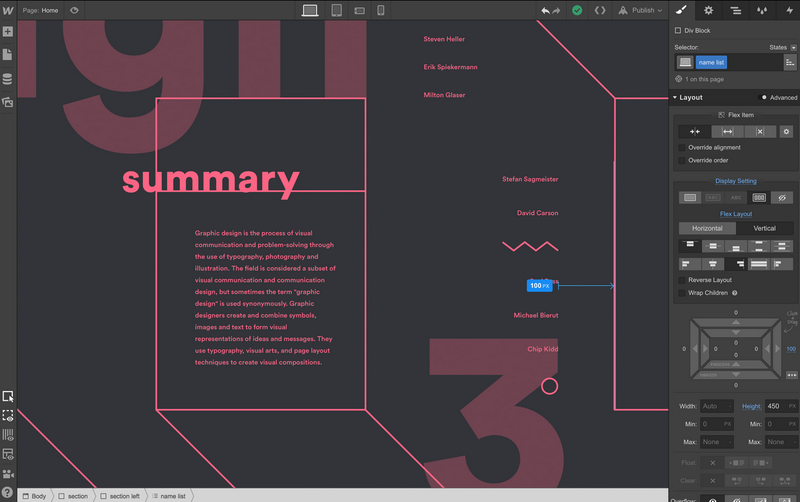 WebFlow is, thus, a platform suited for individual businessmen who don’t have the time to code, expert developers who wish to go to the next level, and designers who need a tool powerful enough to support their vision. 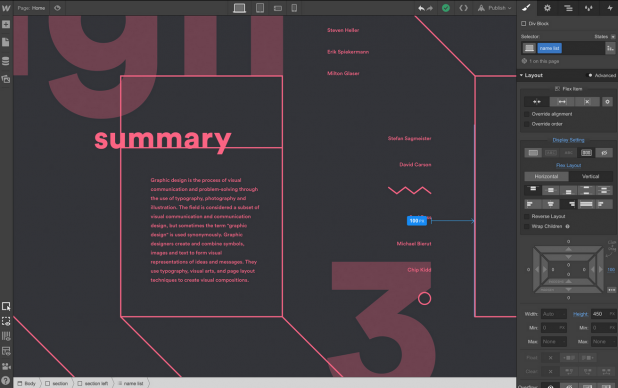 Webflow’s Editor, it’s client facing CMS side, allows on page editing that’s unlike anything Adobe Muse and Business Catalyst could ever deliver. Plus the code is cleaner, there’s an easy billing functionality, and several knowledge resources. One of the most well-known names in the website builder market, Weebly also offers a robust solution for agencies and web development professionals. 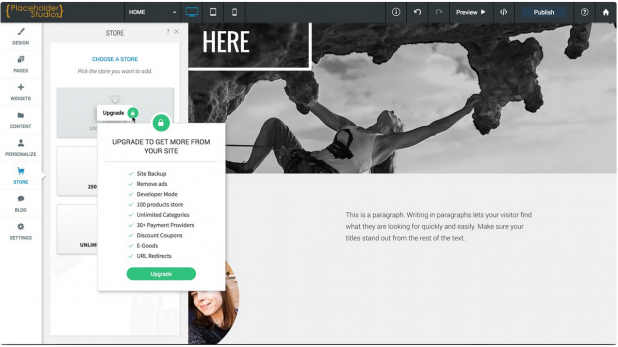 The range of customization, both in terms of template re-design as well as service terms makes Weebly a bright alternative to Adobe’s Business Catalyst and Muse. Here is an example of a white label website produced using Weebly, with no platform branding. Weebly’s website builder is a drag and drop powered and WYSIWYG interface, making website creation a breezy affair. Get stunning mobile responsive themes, robust APIs for integration with workflows, and full customization. Deliver the complete Weebly experience to your agency clients, via your own branded platform. 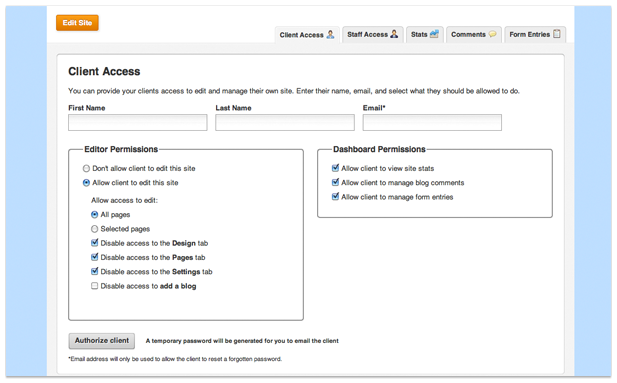 Moreover, you can leverage the admin layer to manage team and client accesses, add staff members, and enable collaboration. Here’s a quick look at the range of options it offers. 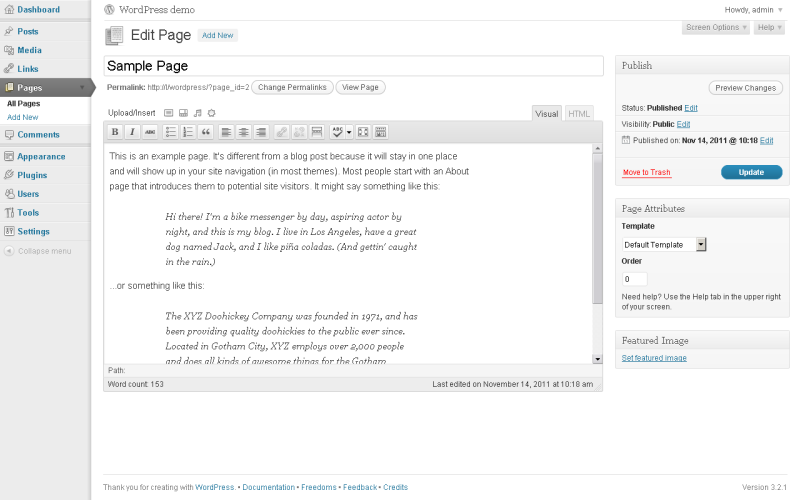 Weebly’s blog creation interface is especially better than Adobe’s Business Catalyst and Muse. In general, Weebly offers a highly similar feature basket, and more, in its inexpensive paid subscription packages, as compared to Business Catalyst. 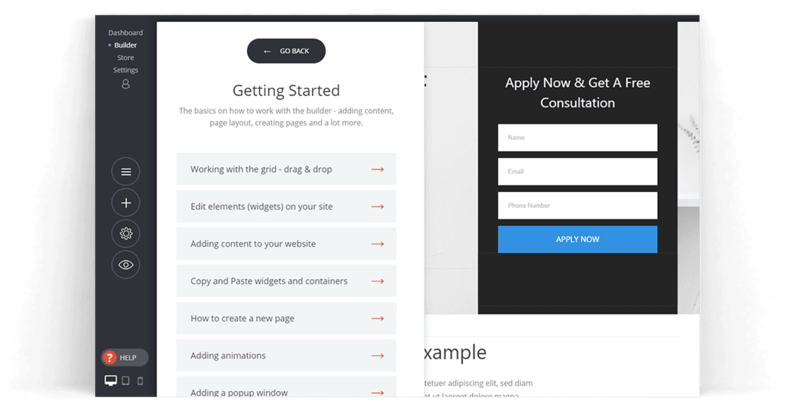 Free hosting, superb designs, and ample scope for customization – that’s basically what you’d get with every web builder platform. 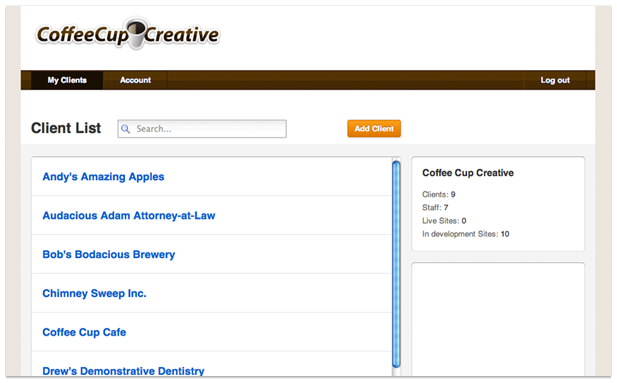 Simvoly takes things a few steps further, assisting your portfolio, blog, or e-store creation. The Website Wizard takes all the pains out of website development, and hands you a ready-to-go business website within minutes. Here’s how Simvoly proves its value as a worthy alternative to Adobe Business Catalyst and Muse. Create client websites using all of Simvoly’s features, branded under your agency name. Target your niche market with a self-branded and fully powered website builder. Set your own pricing, business terms, and designs to offer a truly customized experience to your clients. Manage all your clients and business transactions from a single platform. Leverage free Amazon server-based hosting, SSL certificates, SEO optimization, and user management. Starting up is easy, with on-screen instructions. Also, the editor is intuitive enough. 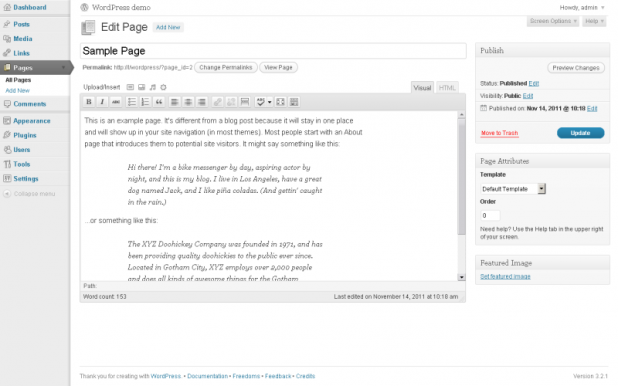 Users are likely to find Simvoly’s blogging interface much more intuitive than that of Adobe’s Business Catalyst. The templates are also very modern and elegant. Simvoly focused on offering a neat web development platform that gets the job done, unlike Business Catalyst where the options can be a bit too much for users. WordPress.org, the CMS, hardly requires an introduction. Why is it an alternative to Business Catalyst? Well, considering how almost 30% of the world’s websites are based on this platform, the answer presents itself. For web development agencies and professionals. WordPress CMS offers hassle free, coherent, well supported, and highly inexpensive opportunities to deliver customized solutions to their clients. The key differentiator for WordPress CMS is the availability of thousands of very useful, light weight, and secure plugins that add every functionality you can possibly imagine for your WordPress installation. Building a website using the CMS is easy enough, as you can use your coding expertise, or fall back on the WYSIWYG builder to quickly create pages. Consider WordPress as a worthy Muse and Business Catalyst alternative because the universe of responsive and niche-specific WordPress themes and plugins is expansive, and ever expanding. The platform is attuned to the idea of collaboration, and lets you add as many users as you need, with deep control over their access privileges. Also, the support community is strong, and always growing. The world hasn’t ended; it’s only the era of Adobe Business Catalyst and Muse that’s ended. Pick yourself up, embrace the change, and look at this as an opportunity to move to a web development platform that offers you the best of tools and functionalities, and will continue to do so.